There may be differences between churches. Therefore, the procedure that is written below is mainly the same. We suggest you to discuss the details with the church you wish to marry. You need to know their marriage traditions of churches. At least one of the partners should declare that he or she is Christian and he is baptized. Churches prefer that both of them are Christian, most of the time, one is enough. Some of the churches request an assurance that the newborn will be grown according to the Christian lifestyle. According to Turkish Marriage Law, you should have a first official civil marriage before any kind of religious marriage. Otherwise, it will be a crime. No one can marry without a civil marriage. 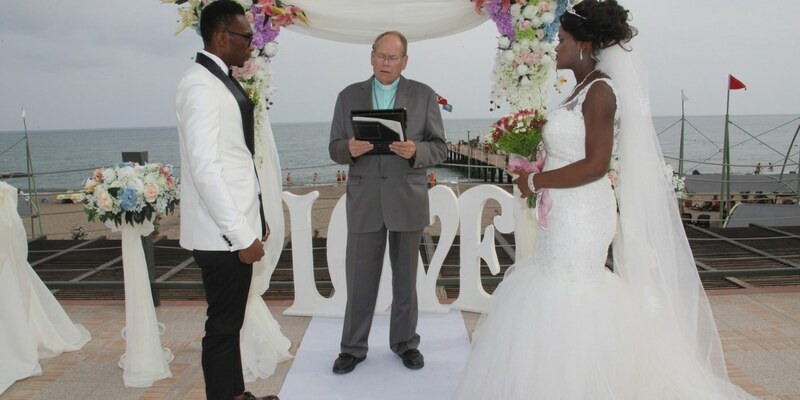 The couple should declare their civil marriage certificate. If the bride and the groom belong to different community churches, according to the traditions, the wedding will be held in the church where brides belong. According to some of the churches, if you have married before and you make a new marriage, you cannot make a religious marriage. 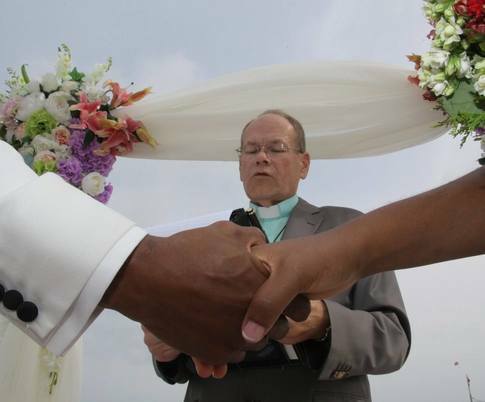 In most of the Protestant churches, the second marriage is blessed with a church ceremony. We have mentioned the importance of marriages at churches. Now we will mention about the procedures that are needed for religious marriages at churches. At least one of the partners should be baptized according to church rules. They would prefer to make a religious marriage for a couple which both partners are Christian and baptized. The witness of the bride and groom should also be baptized. The baptized documents of the witness, and if they are married, the religious marriage certificates. You may ask why the certificate of baptism is needed for witnesses. Due to the fact that he will be the witness in between God and the church he needs to be baptized. They will also be the first people if the couple has a problem with their marriage. The marriage certificate is needed because according to Civil Marriage Law, the official marriage has to be made before religious marriage. It is obligatory to declare the marriage certificate to Patriarchate Offices. Couples who fulfill the conditions can apply for marriage at Patriarchate Office to marry in which church they want. They also need to check the church calendar in order to prevent over booked marriages. People, who were baptized before 1986, can find their baptism certificates at their churches. After 1986, the documents are kept in Patriarchate Office. You should not publish invitations for guests without asking the available time at the church. If they are full they cannot change the dates or provide any other option. So, just be sure that you publish your invitations after you have a confirmation from the church. Some of the couples may request civil marriage just a few hrs or weeks before the religious marriage. This situation is not a problem for Patriarchate Offices. Declaration of the civil marriage certificate is needed for the preacher. If the preacher cannot come to the religious marriage to the ceremony, there is nothing can be done. Therefore, making the official marriages earlier is a better idea. 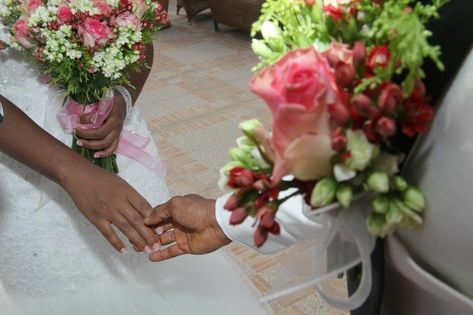 In some of the churches, after you declare that you will marry, you will be taken some courses from the priest according to how a marriage should be. In Christianity, marriage is accepted as a command of God. The marriage is held by a priest. Marriage agreement becomes like a secret by Jesus. During the marriage ceremony, the articles from the Bible are read and the song is singed and people will pray for them to be happy. In early Christian marriages, people were used to serving food as well. There was a tradition which is called as “Drahoma”. Bible follows the rules at Torah when the time comes for forbidden marriages. The marriage of relatives is forbidden in Christianity as it is in Judaism. Back in the day's multi-marriage was allowed however, now if you are married someone, churches definitely do not allow for the second marriage. After the 19th-century multi-marriage is forbidden. The groom will stand on the left side and the bride will stand on the right side during the ceremony. The marriage ceremony can be held in a church or at home as well. The preacher will stand at the back of the middle. And he will say these words: God will bless you and protect you. God will show his face to you he will give light to you. If there is anyone who stands against the marriage should talk right now or be silent forever. Marriage is a holly command and given in order to spread the holiness. It also mentions that men should give so much love to his wife and the woman should give her loyalty to him. Only people who seek for his wealth on prayers can get his holiness. At this point, partners will hold their right hands and will say: (man) are you accepting this woman that you are holding as your wife? Will you be loyal to her your whole life? Are you promising her love for the whole life? 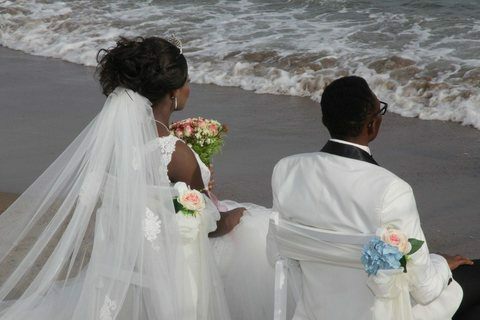 God who is the source of love, peace will look at this couple who wish to marry. Help them to remember Jesus’ words and follow the Bible. Amen. After, the preacher will say the couple who were married according to our country’s rule, will marry according to our religion as well. Christianity married the human should not break them.